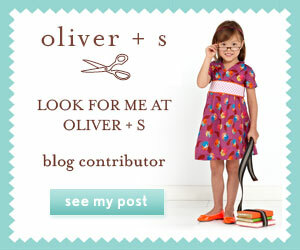 My little L has just started moving towards the larger size range of Oliver and S patterns. I can fit her into a dress or a top that is a 5T without them looking too roomy. She is still a little dot on the bottom half though, so for now the pants/skirts would be too big. I have used the Music Class pattern quite consistently for schoolwear but until now, have never branched out and made it for play. Seeing the blouse on her each morning for school made me realize how pretty it looked on her. So I chose a fabric I knew she would love and got to work! I made a straight size 5, no adjustments. 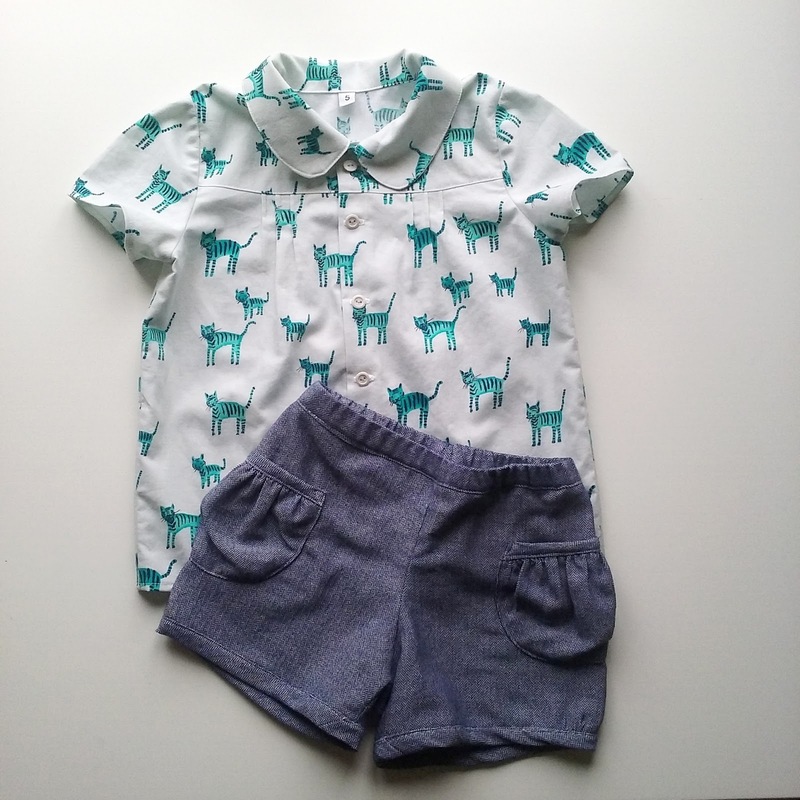 The fabric is from Cotton and Steel designed by Alexia Abegg of Green Bee Patterns. Those cute little kittys were an instant hit! It wasn't planned but I managed to get a cat lined up perfectly on the front. I was thrilled! The placket is supposed to lie with the opposite opening side, but I couldn't cover up that sewing fluke! I am so glad to have sewn this up in something other than white. She loves it and I am happy to have something that will blend with the seasons. She should get plenty of wear out of this long into the summer. Which is why, in the top photo, I have paired it with a new pair of chambray Puppet Show shorts. As long as she fits into that pattern, I will keep making her new ones! These are a size 4T and she is only just in those measurements so the pattern still has some life yet. Thanks Marisa! The pattern is one of my favourites, it is so girly! Oh, dang, this is so cute in that fabric!!! I love it! And it fits her perfectly! And the shorts are super cute too! I'm going to make those for Maggie this summer, for sure! Thanks Inder! She is still at the age where I can use cute animal prints on her clothing. Might as well sew all the things while I can!